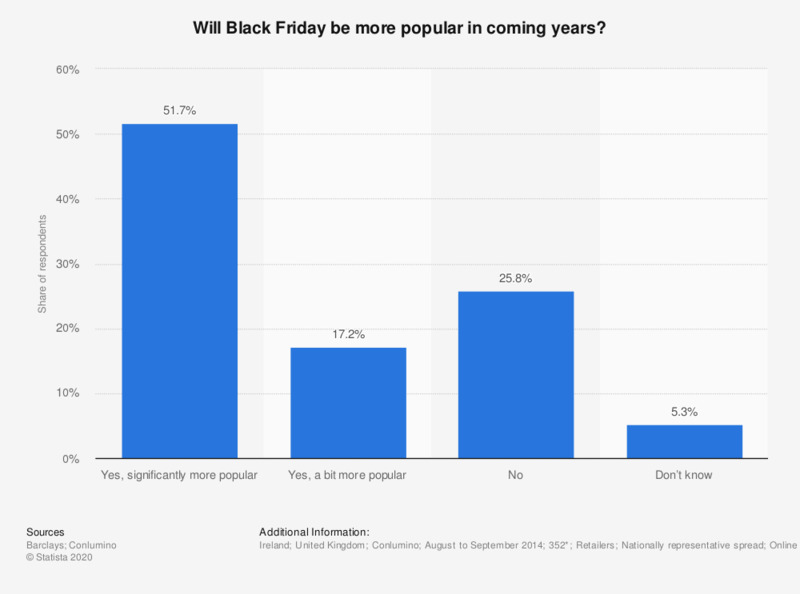 This statistic shows retailers' perceptions of the future popularity of Black Friday in the United Kingdom and Ireland in 2014. According to the survey, 51.7 percent of UK and Irish retailers expect Black Friday to become increasingly popular in upcoming years, despite the day being an American tradition. * 302 retailers in the UK and 50 retailers in Ireland interviewed. Black Friday refers to the Friday after Thanksgiving in the United States, considered to mark the start of the Christmas shopping season. In recent years retailers in the UK have begun to adopt the tradition.